How do I set up my account for real money? Visit the ‘My Account’ tab and click the ‘edit’ button beside your e-mail address. Input your new e-mail address or existing e-mail address and click ’submit’. We will automatically send you a link in a validation e-mail. Click on that link to validate the new e-mail address. I never received a validation E-mail. What can I do? Check you have entered your e-mail address correctly. Please note that there is no need to include ‘www.’ before your e-mail address. Check your spam/junk mail folder. Superpoker does not engage in the sending of unsolicited emails, however, some aggressive mail filters may inadvertently identify our E-mails as spam. If you remain unable to receive your verification e-mail it is likely that your e-mail provider is rejecting our e-mails. In order to address this problem we ask that you establish a web based e-mail account at either www.yahoo.com or www.hotmail.com and register this new e-mail address on your Superpoker account. You can register your new e-mail address on your Superpoker account by means of the edit button beside your e-mail address on record in the “My Account” tab in the Lobby screen. For your convenience, Superpoker offers several options to deposit your funds. The easiest and fastest method is with your VISA or MasterCard. Depending on your location we also offer eWalletExpress, NeTeller, MoneyBookers, online checks and you may also bank wire funds to us. Please check out all the depositing methods available to you here. Minimum deposit is $25 USD, with the exception person to person transactions, which are $100USD. Which currencies can I play in? We accept deposits in all major currencies. The poker room currency is U.S. Dollars, and other currencies will be transferred to the poker room using a fair exchange rate; no profits will be made on currency exchanges, and the same rate is applied to both withdrawals and deposits. Yes it is. We use secure server technology and industry standard encryption to ensure that our financial transactions are as secure as possible. We have made certain that neither your money nor the integrity of the games is compromised. From sophisticated random number generation, to 128-bit encryption, to a range of other measures we can’t disclose, we have implemented the poker room with security as a number one priority. Read more about security here. What is the rake amount? To see how many raked hands you’ve played, go to the Menu tab in our Lobby and choose the “Raked Hands” option from the list. How to cash out from my Superpoker account? Launch poker software and login. In the “Cashier” section, click the “Cashout” tab. 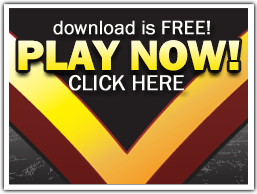 Select your preferred cash out method by clicking on link below the tabs or on the icons. prednisone no prescription low cost, discount prednisone online, prednisone rx, deltasone generic , buy deltasone online no rx, best prices on deltasone 10 mg How long does it take to cash out my winnings? For security reasons we require a 72 hour waiting period to verify all account and deposit method information before processing withdrawals. Most credit card companies need up to 30 days to make the money available in your account.